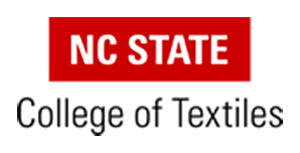 The June 2007 meeting of the Triangle Linux Users Group will be held at 7pm, June 14, at Red Hat on the Centennial Campus of North Carolina State University (directions) . Our speaker will be Sapna Kumar, Faculty Fellow at Duke University Law School and the topic will be the GNU General Public License version 3. Sapna will discuss changes in GPL v.3 and what they mean for hackers. She'll discuss the infighting that has been going on inside the open source community and how v.3 deals with the growing threat of software patents. Sapna Kumar is a faculty fellow at Duke University Law School. Her areas of interest include open source software, patent reform in biotechnology, and federal agency law. Prior to coming to Duke, she was in private practice, focusing on patent litigation and software licensing. As always, this meeting is free and open to the public. Pizza and beverages are provided free of charge. With pilot, the new trilug server in place, but only partially configured, we found ourselves in the unique situation of having plenty of resources, but not much personal bandwidth to immediately fix the problem. I asked Kevin to perform a backup of /var pending further action. Early on the morning of May 7, 2007, Tanner Lovelace presented a report of what was set up on pilot, and we decided to move talon's contents to pilot, rather than putting some "temporary" solution in place to hold talon together. This work is generally complete, but there are probably a few adjustments to be made, and some DNS info is still propagating. Additionally, it is not yet know whether mail sent to talon between the initial failure and the resolution is available or whether it was lost. If it is lost, please accept my apology in advance. The next meeting of the Triangle Linux Users Group will be held at 7:00PM at Red Hat HQ (directions) on May 10, 2007. 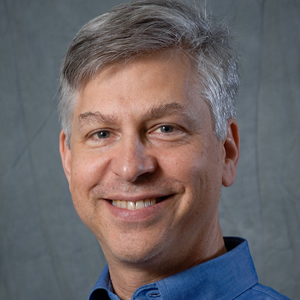 Our speaker will be Tom Billman of Giant Shoulder, Inc. The talk focuses on some basic video (DV and MPEG-2) processing using open source software on Linux with Ubuntu Feisty Fawn. Simple DV editing will be performed using Kino. Simple MPEG-2 (and maybe some AVI) editing will be performed using avidemux. A couple audio tools will be shown, SoundJuicer, FLAC to ogg transcoding, Rhythmbox. The awkwardtv AppleTV hacking scene will be covered for a couple minutes. VLC and Mplayer will be used to display video and audio. Streaming video will be demonstrated. This meeting is sponsored by Integrated Technical Services (www.itsco.com). As always, this meeting is free and open to all interested parties. Beverages and pizza are provided at no cost, but donations are always accepted. PBS Professional is the core product of the Altair Engineering. Now in version 8, PBS Professional contains several new functional enhancements that differentiate it from other workload management system products especially in support of modern supercomputer systems (BlueGene, Altix and Cray). PBS Professional was recently selected by the DoD HPCMO as the workload management solution for the DOD Modernization Program. Adam Diaz is the lead PBS GridWorks Application Engineer for the eastern region at Altair Engineering. Adam is an on-site consultant for customers in a variety of industries on the east coast. With a background in computing for the Life Sciences, Adam also works with the Altair business development group to integrate various partner software packages with PBS Professional. Based in Apex, Adam is a NC State Alumni and long time Linux user. He can be contacted at adiaz@altiar.com.